The bigger they come, the harder they fall. Apple’s iPhone 6 Plus sports a 5.5-inch display and that rounded body looks potentially slippery to us. It’s a slim device and even with the promise of “ion-strengthened” glass we can already hear the sound of cracking displays as they hit the sidewalk. Why take the chance? Peruse the iPhone 6 Plus cases that are flooding onto the market and get the style and protection you need. This successor to the Access Case maintains the same stylish appeal as the original, but now comes in more colors and with some small changes to the overall design. The Access Case 2 is made using elegant, vegetable-tanned, Italian leather that’s also water-resistant, and features a rubber pad on the inside that’s covered with suction cups so you’re iPhone will stay in place. Magnetic shielding protects the device from outside interference, while the soft microfiber lining keeps it safe and residue-free. An inner pocket also holds credits cards or your driver’s license. The Access Case 2 has two cover variants, too, for people who like cases that open horizontally or vertically. 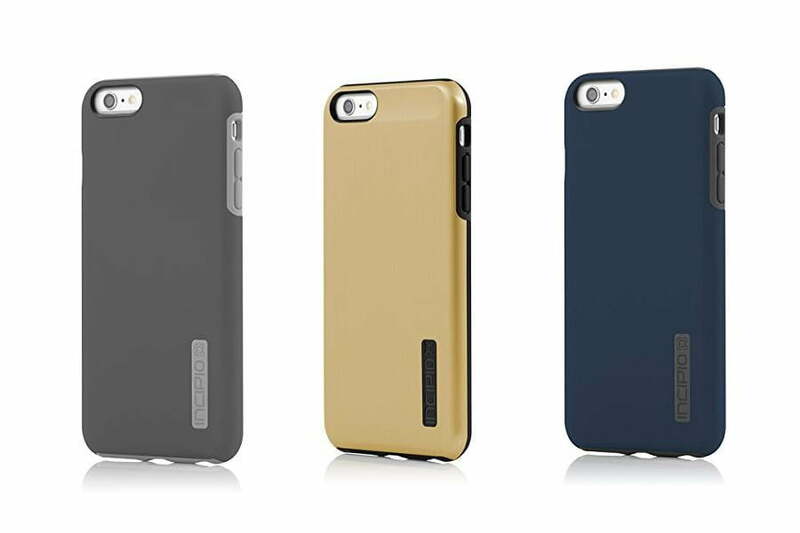 The Layered Dandy series of cases from Verus is meant to provide storage and protection. Each case is designed to fit snugly on the iPhone 6 Plus, which prevents your phone from shaking inside the case during use or when it’s dropped. Being a wallet case also means that it features a flip cover, as well as three card slots and a money sleeve that’s designed to hold your credit cards. And to keep the cover from opening unexpectedly, it even comes equipped with a magnetic fastener. The case also has a leather texture to it, making it soft to the touch and a pleasure to look at. If you want style, protection, and a kickstand, Obliq has you covered on all three fronts. 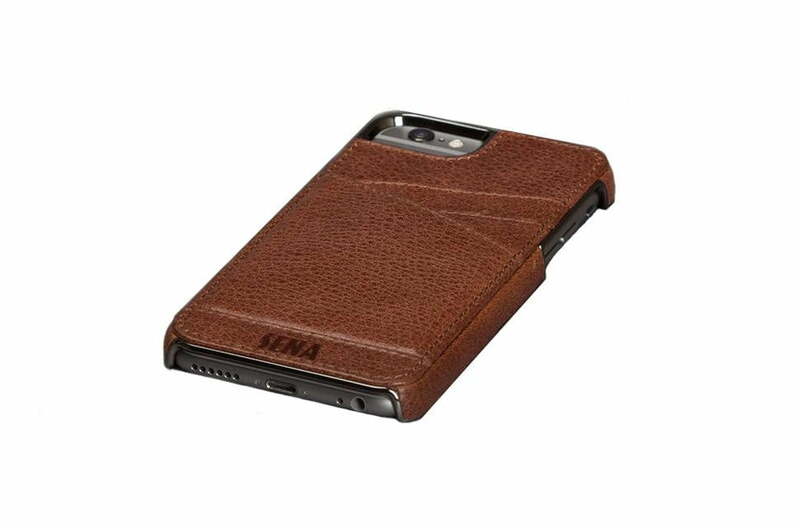 The metallic finish on the case gives it an elegant look, while the outer shell makes it look as rugged as ever. You can be confident in its ability to protect your device, too. 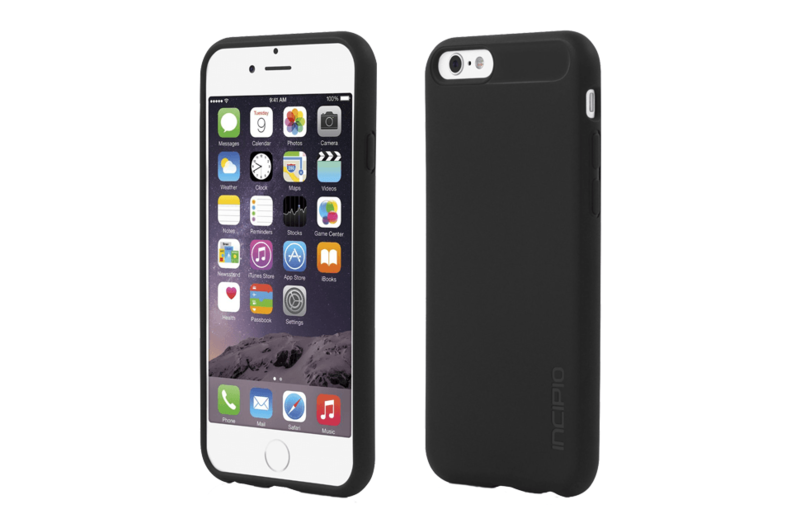 Protection extends to the inside of the case, as well as the outer bumper, both of which provide shock-absorption. But if your iPhone does fall, the front edges of the case extend outward enough to keep your phone’s display from making contact with the ground. The hidden kickstand also makes it easy to watch videos, and saves you the trouble of having to hold your phone. This case also provides extra grip for added protection while holding your device. This stylish, synthetic leather case looks and feels like the real thing. A lot of phone cases sport cut-outs so the buttons are still easy to press and get to, but the Urbanwrap opts for button covers, and does so without interfering with their functionality. 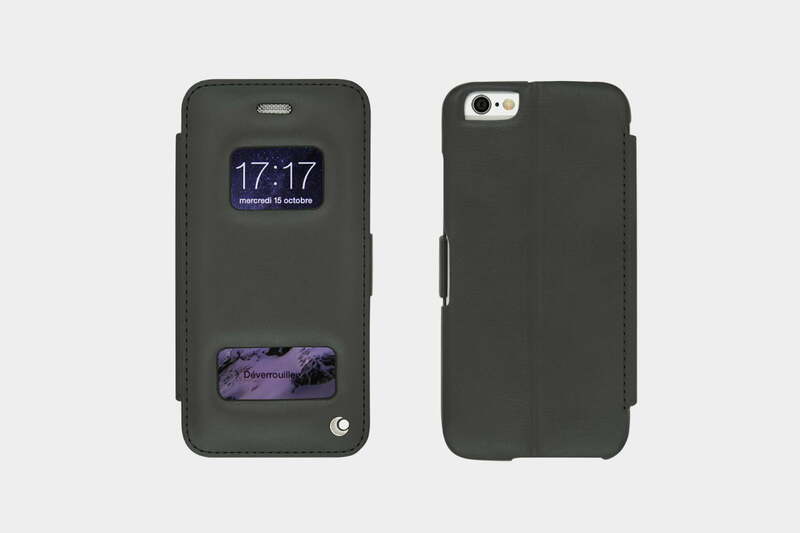 Cygnett’s case is perfect for iPhone owners who want to wrap their device in a seamless, leather-esque design. It also provides a soft feel both inside and out. It’s not rugged, but you can expect it to provide basic protection from small bumps and falls. While the original Juice Pack provided great protection and supplied more than 14.5 hours of extra battery life, the Juice Pack H2Pro outdoes its predecessor by giving the iPhone 6 Plus up to 70 percent more battery life and better protection. The improvement comes courtesy of the case’s anti-scratch screen protector and, for the first time, waterproof protection. Mophie’s battery pack case now protects your iPhone from drops, dirt, and water, while still allowing you to utilize every feature on your device. The case includes an LED indicator and integrated power button, the latter of which lets you to choose when to charge your phone. If you really can’t stand the idea of covering your iPhone 6 Plus up, but you don’t want a cracked screen or a dented frame, then you should really take a look at the Crash Guard from Rhinoshield. 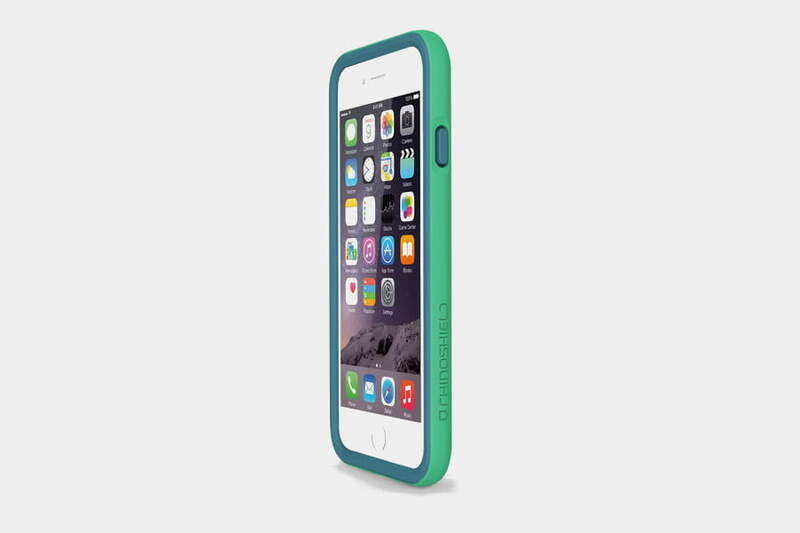 It’s a protective bumper that wraps around your iPhone, keeping it safe from drops and dings. It extends from the front and back, so the display and the exposed portion of your phone never come into contact with the ground. This combination of materials provides real drop protection in a minimalist package, and it’s available in a wide variety of colors. The smart idea behind this case is magnetism. It comes with two magnetic mounts, ready to stick wherever you may need them, whether it be the kitchen, the car dash, or somewhere else. The simple shell case sticks to the magnetic mounts securely, giving you a more stylish and minimalist solution than a traditional dock or cradle. The case itself is available in a few different colors, sports a nice soft-touch finish, and features generous openings for the camera, ports, and switch. You can mount your iPhone 6 Plus anywhere with MagBak. You can’t expect rugged drop protection from a case like this, but it does add some grip and serves as a basic layer of protection from bumps and scuffs. There is also a slight lip around the front to protect the screen. It’s made from a malleable gel material, so it’s easy to fit, and the button covers work well. The cut-outs for the ports, switch, and camera are accurate. It’s completely transparent and very thin, so you can still enjoy Apple’s design. You can also get translucent colored versions, if you prefer. With a range of hand-crafted, real leather cases, Noreve is a stylish brand. This particular case is padded leather and opens like a folio. There are openings for all the ports, buttons, and the camera. You’ll also find a couple of windows in the front cover and a speaker grille, that latter of which enables you to use your iPhone 6 Plus with the case closed. The protective shell inside is TPE. 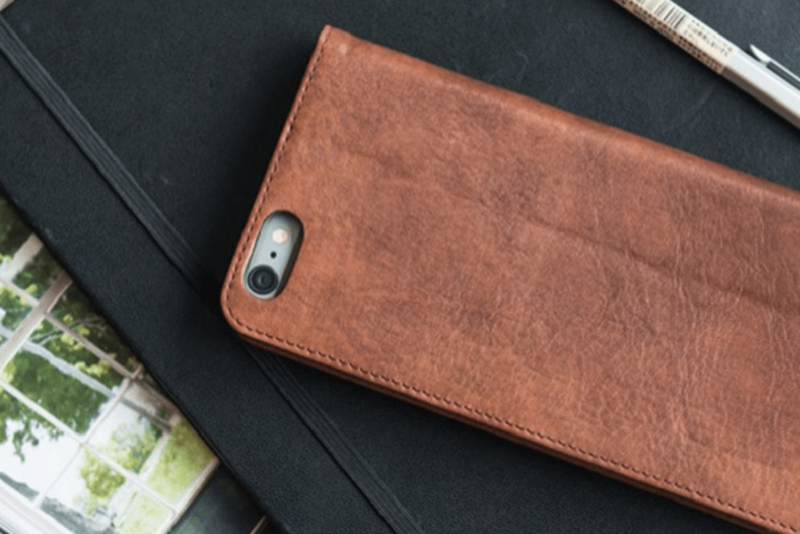 If you want customize your case, Noreve even offers a wide range of different leather finishes and colors, and you can even change the interior lining if you don’t mind paying little extra. 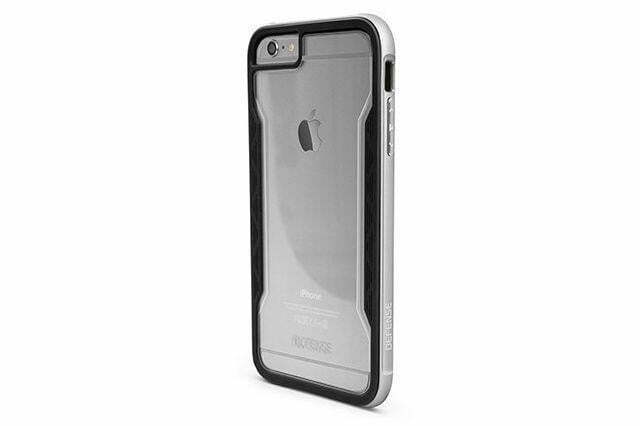 This is one of the toughest cases you’ll find, offering several layers of protection to cover every angle of your iPhone 6 Plus. It’s a blend of TPE, polycarbonate, and silicone, with a built-in screen protector and covers for the ports, buttons, and Touch ID. It adds bulk and detracts a little from your phone’s ease of use, but once your iPhone 6 Plus is safe inside, it can survive falls of up to 10 feet onto concrete. It also has an IP55 rating and features a rugged, rotating clip designed to keep it securely fastened to you when you’re not using it as stand. You can pick up these dual layer, protective cases for a bargain price now. The inner core is soft, flexible TPE and the outer shell is tough polycarbonate. 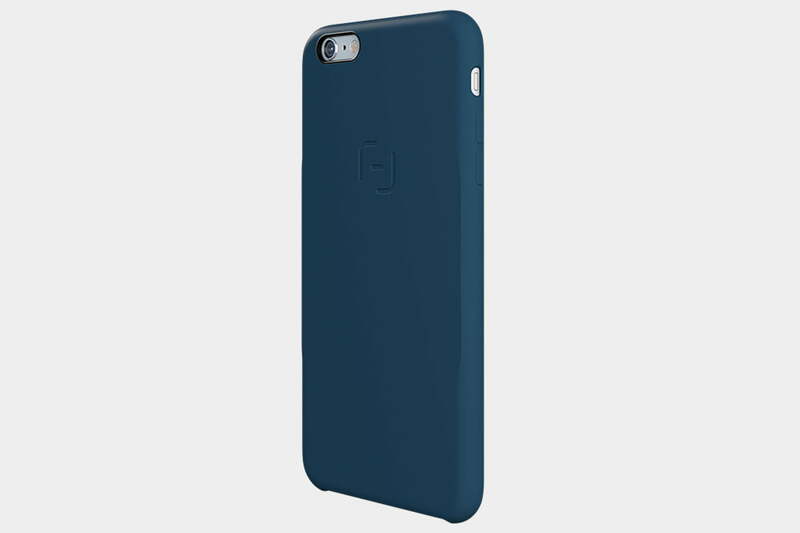 There’s a color contrast between the two to add a little style, and you’ll find a small Incipio logo on the back. The cut-outs on these cases are very accurate, the button covers work well, and a raised lip protects the screen. You can snag this case in a variety of different colors, but the prices vary. There’s also a shine variant that sports a brushed aluminum effect on the back. Here’s another iPhone 6 Plus case that’s ideal for anyone with butterfingers. The ITG Patchworks Level case delivers drop protection certified to military drop test standard 810G, but it’s also surprisingly slim. You’ll see a patchwork diamond on the inside that helps create shock absorbing air pockets. The raised bezel on the front helps to safeguard the screen should your phone land face down. We also like the generous cut-outs on this case, and the textured sides really add some grip. You can get it in black, white, or sand colors. 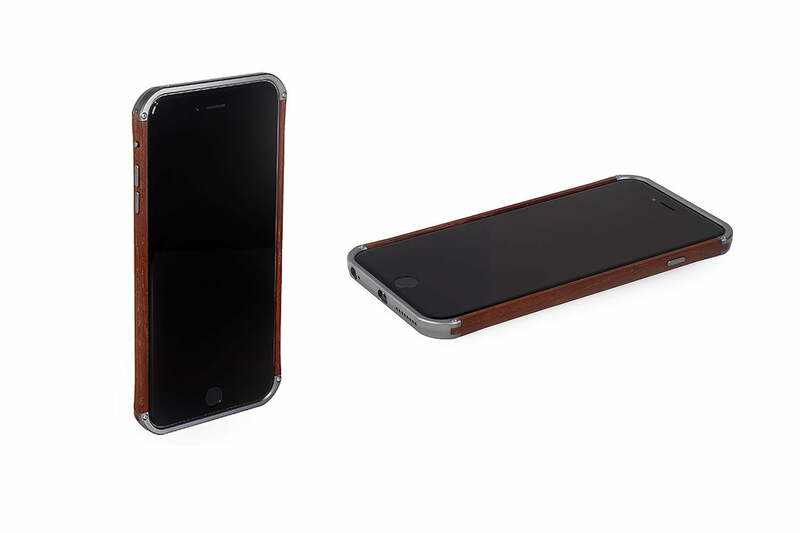 With natural wood finishes and a wide choice of eye-catching designs, these are some of the best-looking cases you’ll find for the iPhone 6 Plus. The one pictured features the Mount Bierstadt Inlay and costs $40. The wood is set into a rubber case, one outfitted with textured sides and a raised lip around the display. The case also features slim button covers and accurate openings for your phone’s camera, ports, and power switch. The vast majority of cases fail miserably when it comes to matching Apple’s design style, but Vesel’s luxury bumpers are a little bit special. The iPhone 6 Plus varieties combine aluminum top and bottom in gray or silver, with a choice of gorgeous wooden sides in acacia, pear, or maple. You get a screwndriver in the box for taking the bumper apart and slotting your iPhone into place, then sealing it up securely. The button covers are aluminum, which stands out against the wood, and there are cut-outs for the ports, though some larger audio jacks are probably not going to fit. 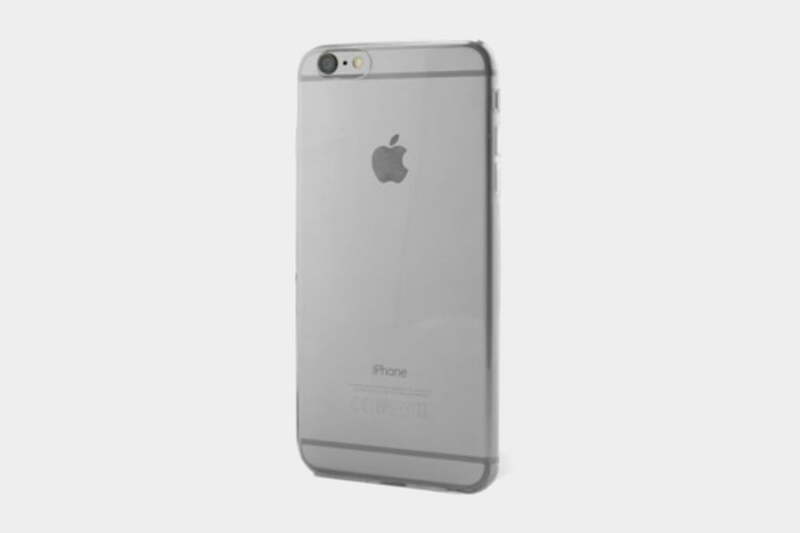 The bumper extends front and back to protect the iPhone all round without covering it up. These beautiful folio-style cases are made from real American full grain leather in whiskey, dark chocolate, or black. They’re neatly stitched with a subtle logo on the spine, and you can choose different linings for the interior. Your iPhone 6 Plus is held in place by 3M adhesive technology. It’s sticky and strong, but there’s no residue. We recommend this over the wooden cradle variety, because the iPhone 6 Plus is already quite a big phone and you don’t want additional bulk. You can leave your wallet at home, because there are four slots for ID and cards, as well as a larger money pouch at the back. The back corner is cut away to leave the camera and flash exposed, and you have full access to controls and ports, because there’s no shell. We’re not sure about how well this would handle drop damage, so look elsewhere if you want a rugged case. It can also flap open a bit, especially if you load cards into it. If you hate to cover up your pretty new iPhone with a case, but still want a lot of protection, X-Doria’s Defense Shield is just the ticket. The case is made of two parts: a military-grade, machined aluminum frame and a clear polycarbonate back with a rubber lining along the edges that grips the phone. You pop the plastic back on first, and then wiggle the metal frame onto the rubber edges. It’s a snug fit, but your phone will enjoy military drop protection, even if you let it fall from 6.6 feet onto concrete. The raised lip also protects the screen, and the rubber grip on the back of the case keeps it from sliding off tables. Moshi’s attractive wallet case is called the Overture, and it features four card slots, along with two bigger pockets for cash and receipts. A Terahedron microfiber lining keeps your screen clean, and can fold up into different positions, so you can watch videos on your phone with ease. The case has a polycarbonate frame that’s intended to protect from drops and scratches, without getting in the way of your iPhone’s camera or buttons. As an added bonus, the case comes with a Neato microfiber cleaning pad that’s machine washable. The Overture comes in three different color options: Brushed titanium, Sahara Beige, and Steel Black. 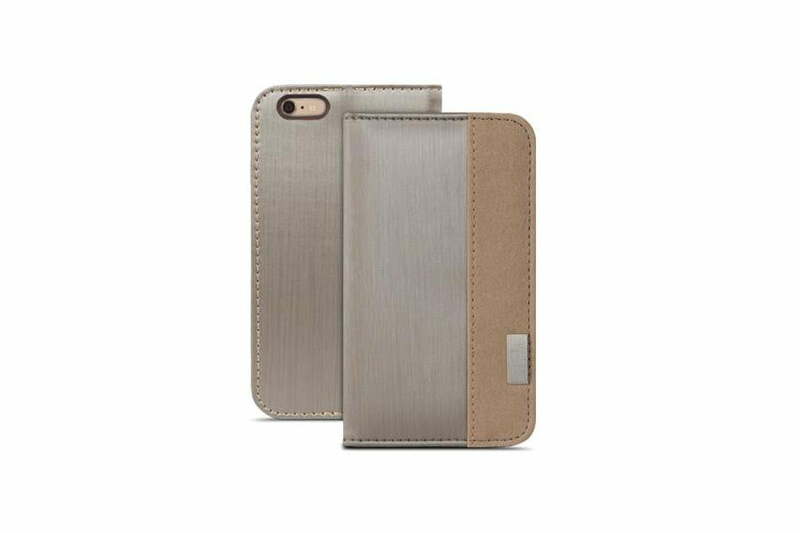 This handsome case allows you to outfit your iPhone 6 Plus with an added touch of style. The flexible, TPU shell provides decent shock protection, and comes with button covers and a wavelength pattern that provides additional grip. The case also features a polycarbonate bumper and satin finish, along with cut-outs for the your phone’s switch, camera, and ports. The four colors options (black, pink, green, and blue) only make it more enticing. Sena’s entire lineup of smartphone cases offer very little in the way of protection — they function more so as basic sleeves than dedicated cases — but they still manage retain the sleek design of your phone without compromising on style. The Lugano Wallet is no different, reveling in a design comprised of tumbled leather, Herringbone microsuede, and a gunmetal trim. Although the case doesn’t offer a front cover, it does house three pockets on the back for stashing your ID and credit cards, while leaving your speakers and ports accessible. California-based Rokform prides itself in all things rugged. Though easy to install via the case’s quick-snap installation, the company’s Sport v3 offers admirable protection in the form of a high-impact polycarbonate frame. Moreover, the integrated mounting system allows you to attach it to everything — from your car’s dashboard to your bicycle’s handlebars — using the magnetic backing and coupled adapter. And with seven coloring offerings, you never have to worry about finding a case fit for your style. This thin, lightweight case offers offers great impact protection, at up to 6.6 feet, and it has a cover for the screen. It flips open in the usual folio style to reveal a handy card slot in the cover. The shell is malleable and easy to fit. The shell is partially transparent, but the opaque cover folds over most of it, and comes in eye-catching pink or classic black. You’ll find all the cut-outs are exact. 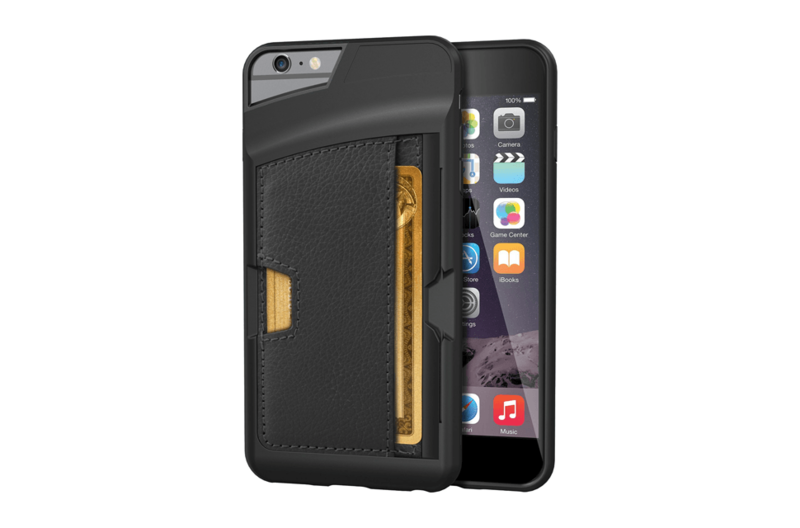 Maybe you want something that will really stand out and still protect your iPhone 6 Plus. Speck offers three full color designs featuring a supernova, a floral pattern, or a raindrop pattern. Each comes printed on a standard CandyShell case that meets military standards for drop tests. You’ll also find precise cut-outs and button covers. It’s quite a chunky case, but that’s the price of proper drop protection. Bear in mind that the gorgeous designs will fade a bit over time. 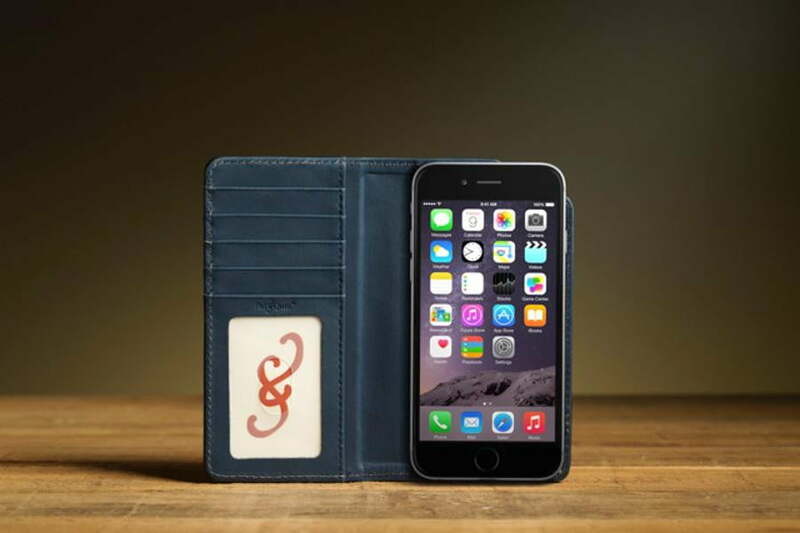 You won’t find a more perfect fit for your iPhone 6 Plus than this Apple-manufactured premium leather case. It’s slim, but the leather is durable so it will protect your phone from damage in a pocket or bag. The lining is soft microfiber and the leather exterior offers extra grip. It comes in your choice of black, red, blue, brown, or pink. Apple’s case won’t offer much in the way of drop protection, but it will safeguard against scratches and light bumps. This lightweight case blends an unbreakable outer shell of polycarbonate with a flexible, shock absorbent inner layer. The protection includes button covers and there are precise openings for access to ports. The USP for this case is a fold out panel on the back. It has two parts to it: a kickstand to prop your iPhone 6 Plus up for hands-free operation or watching a movie, and a door that conceals space for up to three credit cards, or maybe an ID and some cash. It comes in a variety of two tone finishes. The Symmetry Series isn’t the toughest offering from OtterBox, but it strikes a good balance between style and substance. It’s a standard mix of materials with a soft rubber interior wrapped in polycarbonate to form a single piece case. It includes a raised lip at the front to protect the screen and button covers, but it doesn’t add too much bulk to the profile of your iPhone 6 Plus. You can opt for a two tone color finish or choose from snazzy designs. 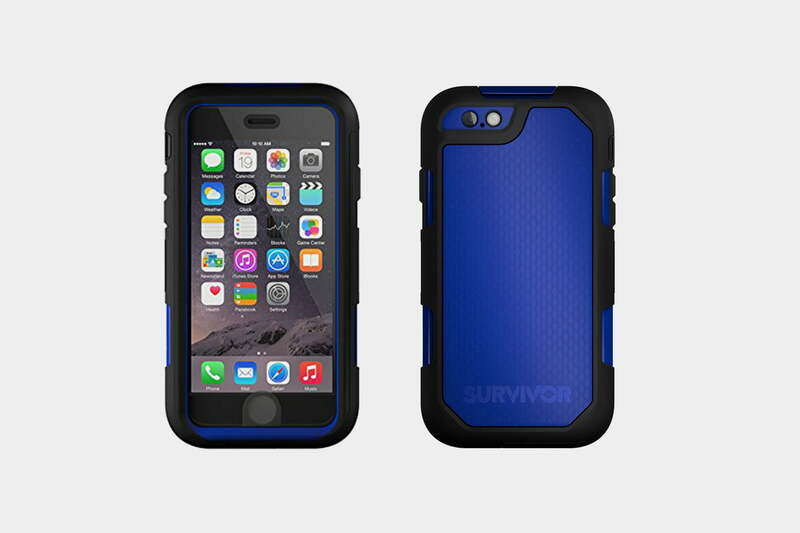 It is a bit chunky, but the Tough Armor case combines TPU with polycarbonate to give you decent drop protection. The inside is also patterned and the corners are reinforced with air cushions to take the sting out of any impact. The kickstand is an added bonus for propping the iPhone 6 Plus in landscape. There are covers for the buttons, but you’ll find precise cut-outs for the camera, ports, and the Apple logo on the back. The TPU is always black, but you can choose from a few different colors for that back panel. They are undeniably really pricey, but the Eastern Hardrock Maple and the Oregon Claro Walnut finishes are truly beautiful. The cases have buttons built-in laser-cut openings for your ports and camera. You snap the iPhone 6 Plus into place in the bumper ($70 on its own) and then stick the back panel on to complete the look. If you’re prepared to pay a little more (extra $30), you can get a leather cover to wrap around the whole thing. A lot of people are going to balk at the idea of covering up the expensive new iPhone they just bought, so this minimalist case from Griffin might be worth considering. The transparent back is hard polycarbonate and the colored bumper is rubber. It has precise cut-outs and it’s only 1.6mm thick, so it won’t be spoiling that svelte look. Apart from the black and pink pictured, you can also get it in white. Maybe you see a disappointing lack of glitter and glam in the new iPhone 6 Plus. This slim offering from Case Mate brings a touch of bling with glitter inlaid to the transparent hard plastic shell. There’s also a protective bumper to absorb shock and the shiny aesthetic is finished off with some chrome button accents. If this is a bit too much you can always opt for the basic transparent version for $5 less. Nothing but tough cases come out of UAG and the new line for the iPhone 6 Plus meets the latest military drop standard 810G. It looks like a metal shell, but the case is surprisingly light and crafted from the usual mix of hard plastic on the outside with a soft inner core. There are big button covers that easy to press, precise cut-outs for ports and camera, beveled to avoid flash glare, and this case ships with a screen protector. There are a few other color options and a transparent version if you don’t fancy this classic black and white styling. 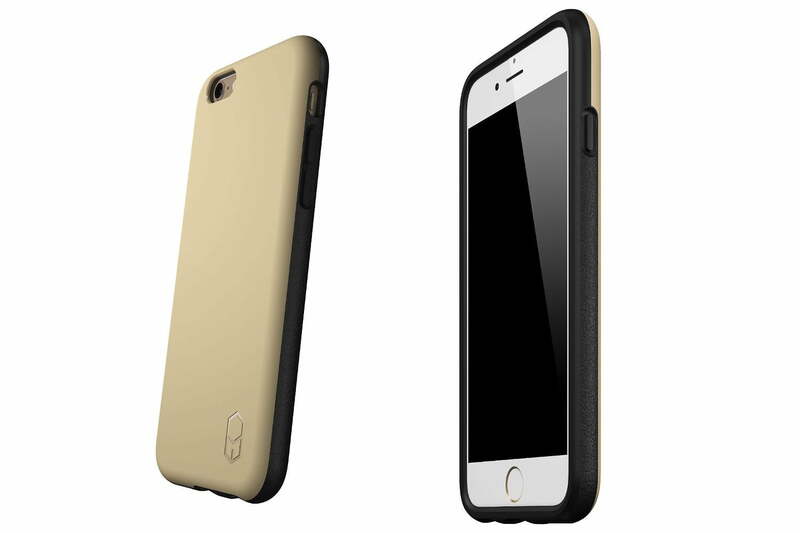 Here’s a two-piece case that comprises a malleable TPU skin with a hard polycarbonate panel for the back in gold, black, or silver. It’s designed to give rugged protection, but not everyone will like the fact that the frame encroaches on the front, even if it does protect the screen. There’s a cut-out for the Apple logo, but we have concerns about the small cut-outs for the camera and flash because when they’re too tight, they can cause glare problems on photos that use the flash. 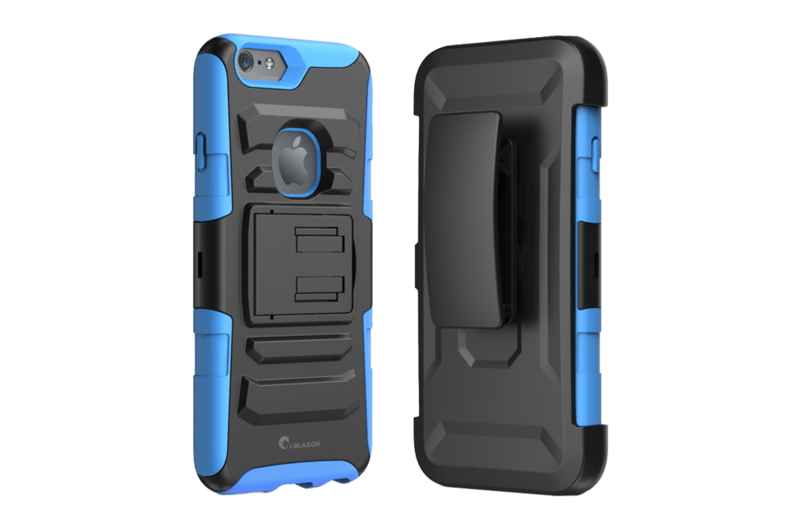 If you’re always dropping your iPhone 6 Plus then you really need a rugged case. This one meets military standards for drop testing and it includes reinforced corners that’ll bear the brunt of any impact. It’s a chunky case, but there are accurate cut-outs for your ports and camera. The buttons have covers, and you’ll find additional grip on the sides. You can get in white and grey, or black and grey. It’s also reasonably priced for a rugged case. This case is fairly bulky and isn’t a sleek and trendy as some of the others on the list. But what it lacks in aesthetics it makes up for by offering incredible safety as well as a kickstand, so you can kick back and relax while watching sports or a YouTube video. You can choose from three colors: red, blue, or all black. The case even comes with an attachment so you can put your phone on your belt, if you think that’s cool. The i-Blason case looks like a Transformer and kind of acts like one. First you put on the soft part, which absorbs the shock of a fall. Then you put the hard shell over the top, which protects against scratches and hard drops. The last step is to put the front part on, and you can consider your phone safe. Sometimes it’s nice to have everything you need in one place, which is why combination wallets and cases have gained popularity. Almost every company has their own version of it, but Q Card is one of the best, courtesy of its slim design. A lot of wallet combos are wide and difficult to slide into a pocket. It’s most interesting feature is a slot that allows you to slide a credit card to act as a kick stand. While it can fit three credit cards a little bit of cash, it doesn’t provide drop protection. It will protect against scratches, and it looks elegant. Just be careful–with this case if you lose your phone, you’ve lost everything. We already have a case from this company on the list, but it’s hard to make a best of case without including the NGP. It is one of the best cases for the new iPhone and the best part is that its the cheapest option on this list. That doesn’t mean this translucent case isn’t a secure option for your new phone. In fact, it is one of the safest cases out there. The jelly like consistency provides excellent grip, which reduces the potential of dropping your phone. However, if you do drop the phone, and you will, it is shock and drop proof.